Adorable plush bear from K's Kids comes clad in a removable outfit packed with closures, perfect for testing a little one's growing problem-solving and motor skills. 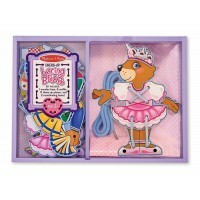 Find a cuddly plush teddy bear that will help you to learn basic skills! 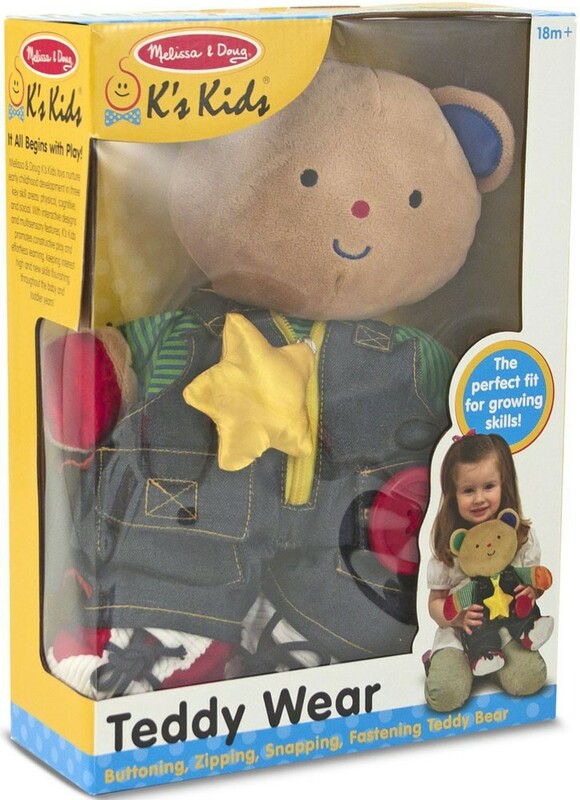 Adorable soft Teddy Wear bear by K's Kids collection from Melissa & Doug comes in a removable outfit packed with learn-to-dress options. Toddlers and preschoolers learning the basics of self care and refining grasp and hand-eye coordination have met a cuddly match for their emerging skills! 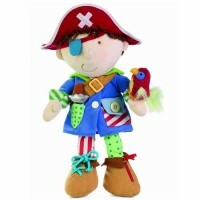 This plush toy features buttons, zippers, self-stick tabs, buckles, and laces will keep little hands busy and learning. 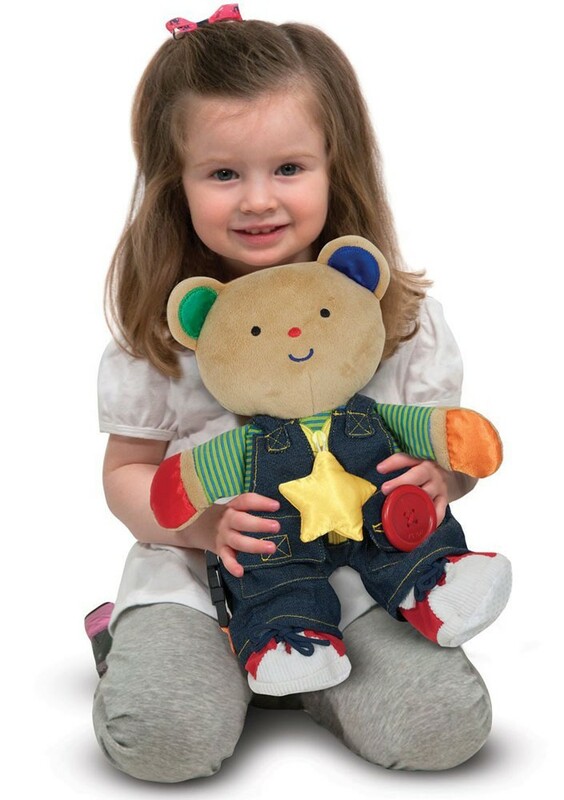 Different fabric textures add sensory development, making this a teddy bear a great companion for kids of all abilities! 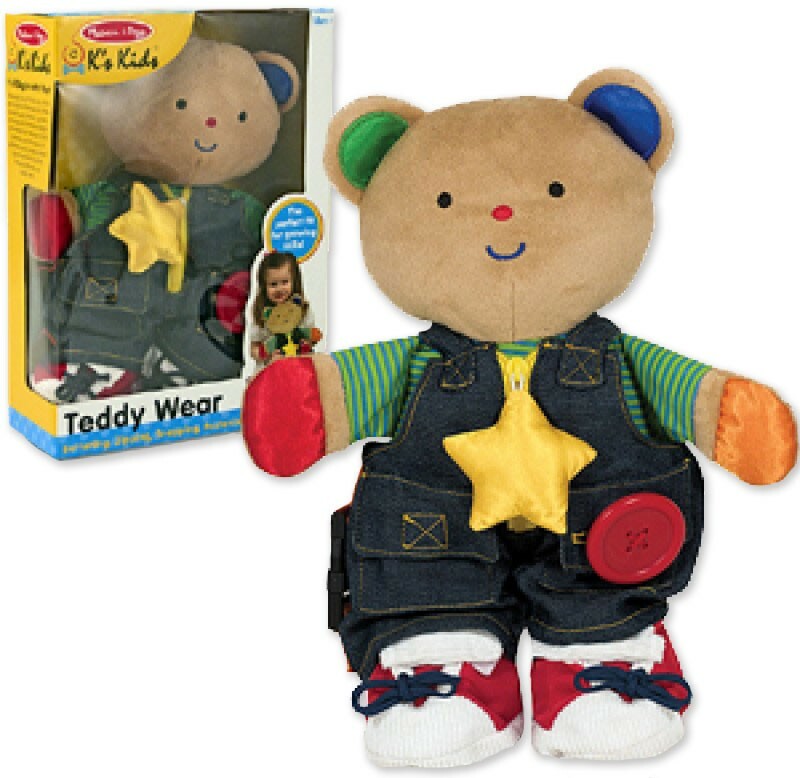 From toddlers to preschoolers kids will welcome the Teddy Wear Learn to Dress Bear as their bring-along toy, sleep companion, or fun dressing activity toy. 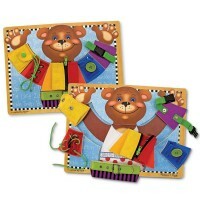 Dimensions of package 10" x 14" x 4"
Write your own review of Teddy Wear Learn to Dress Bear. Rating: 5 by Patricia, MN It seems very well made. Sturdy for many uses by small hands. 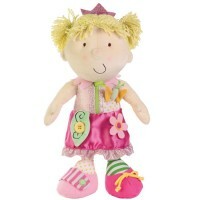 Rating: 5 by Lois, NY It's finally a doll that boys can play with. 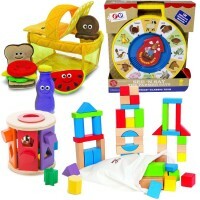 Adorable, educational, fun. Rating: 5 first best friend by Nancy, NJ Seems that it makes a first best friend -- so confidence inspiring!!! 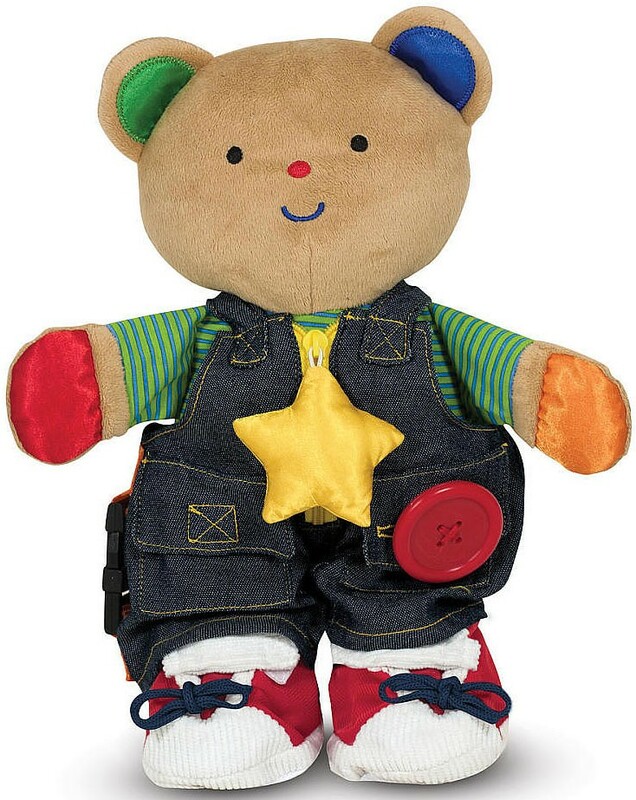 Rating: 5 by Judie, FL My son had a doll similar to this one many years ago. I decided to buy one for my 2-year old grandson. He loves it! Rating: 5 by Teresa, WV he's a good pal for my little boy. 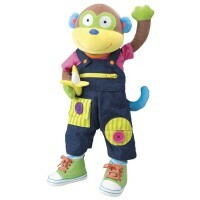 Rating: 5 by Susan, TN I was very pleased with the toy! I looked exactly how it was pictured on the website and my nephew was very happy ! Thanks for a great toy! 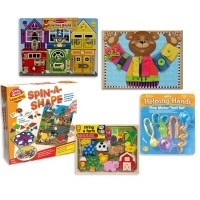 Rating: 5 great learning tool by Kay, IL I gave it to my grandson, who is 18 months old. I think it will be a great learning tool. Rating: 4 by Karin, IL It's well constructed--remains to be seen how much it will be played with--seemed to fascinate my 4 year old granddaughter more than the two year old it was purchased for.